Miss Shortcakes: My Top Ten Cakes of 2013! It's the end of 2013 and I've had an absolutely fantabulous year!! I can't believe how fast time has flown and the amazing opportunities I've experienced this year. 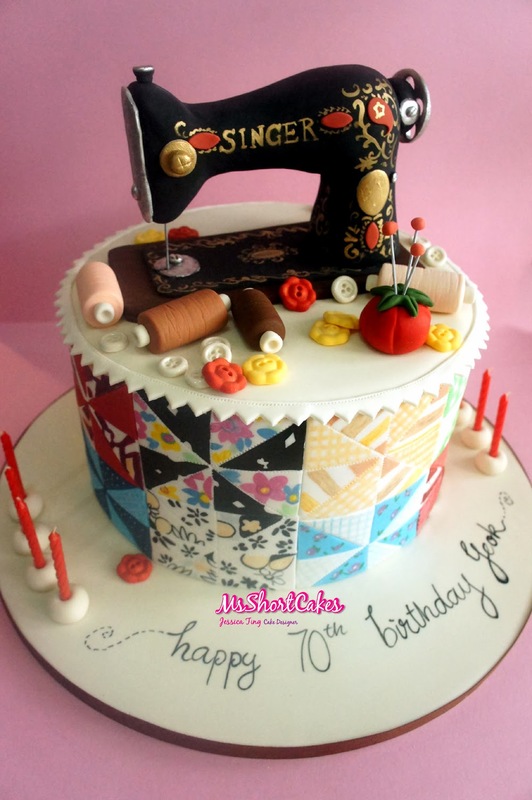 So to finish off the year, I thought, I'd put together my Top Ten Cakes for 2013. Or shall I do a Top Twenty? It'll be so hard to choose. First up, design and execution. Loads of times, I have sketched up cakes that look great on paper, but once they translate into cake, it may or may not work. Did it answer the client's brief? And how well did I execute this idea into cake. This will be my first criteria. And finally, I will give the general public a vote in this too - via my Facebook page updates and Instagram updates. The most "liked" photos will have a fair go, in my Top 10 list. The patchwork panels were all hand-cut and stitched with a stitching wheel. Then the "fabric" artwork was hand-painted with food colouring. It took approximately 5 hours. 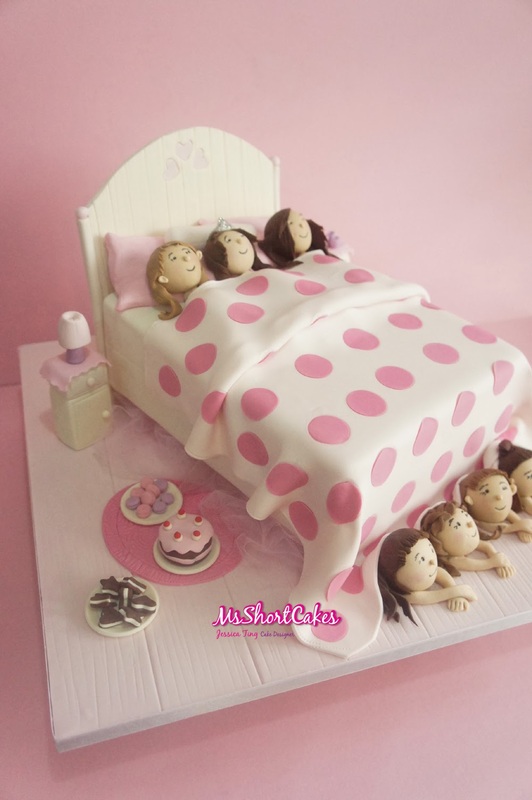 Not recommended for the faint hearted :) This cake drew the most attention on Instagram and FB! This year had a few cakes with BIG toppers. 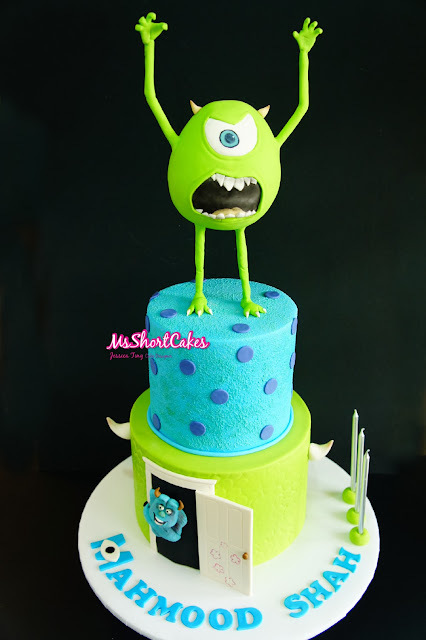 This Mike Wazowski was just one of them. His expression on his face was priceless. 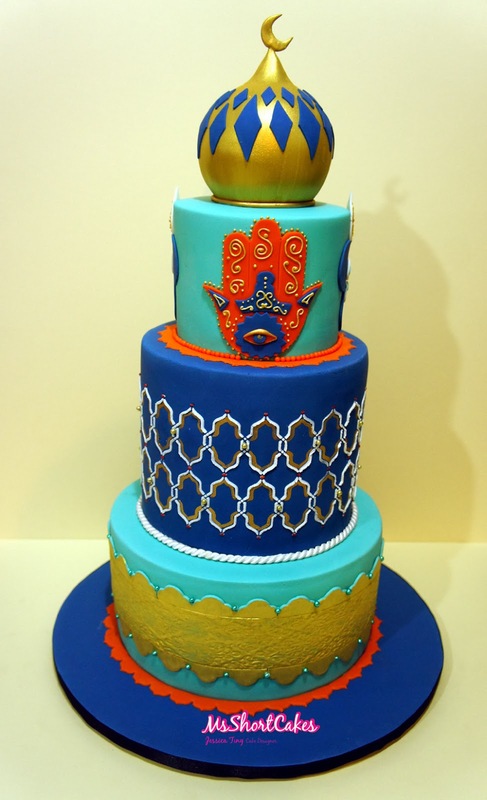 With sis arms and hands up in the air, it just accentuated the "scare" factor, and I loved how it brought the entire cake to life! Super fun to make! I've faced many challenges in my career as a cake decorator, but not ONCE have I wanted to throw in the towel, and accept defeat. When I was asked to come up with a cake for this party, the client left it all up to me. I selected this theme. I came up with the design. I decided on the size of the cake. It was all MY IDEA. 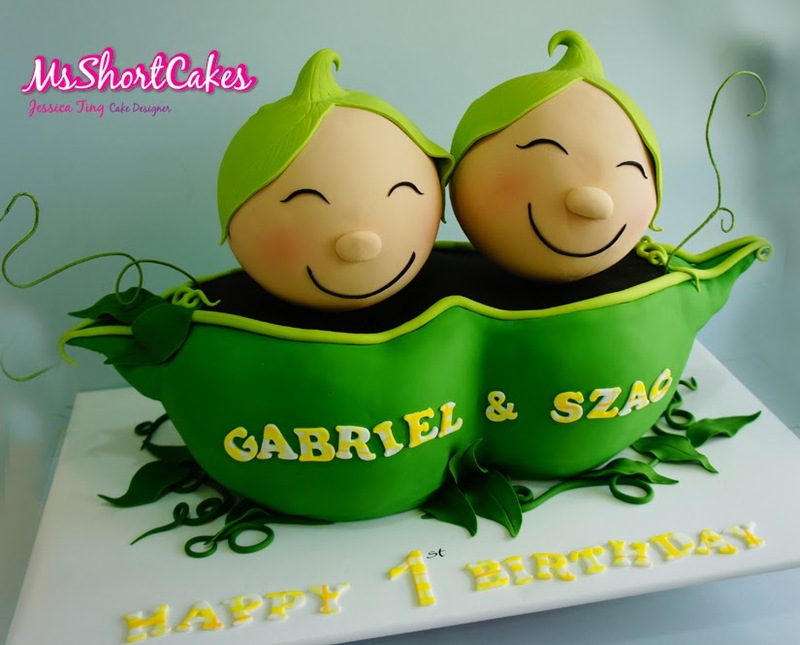 I don't think this cake needs any explaination as to why it's number one! It's one craa-a-a-a-a-az-y cake!! 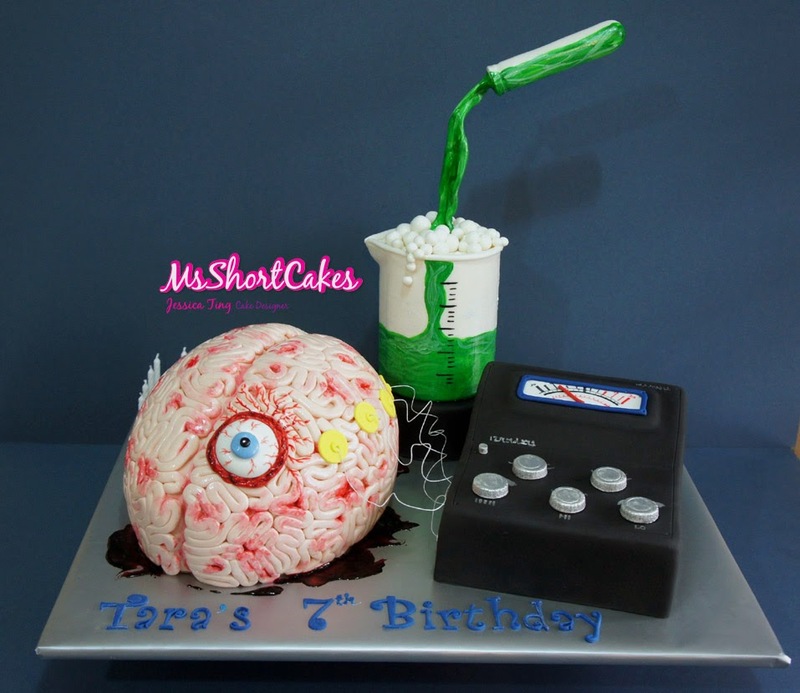 I had so much fun making it, and hearing how many people got grossed out at the brains, made it even more worthwhile! I've spent 2 days writing this post because it was too difficult choosing only 10 cakes from my archives. I'm going to do a sneaky one and slot in one more photo. Just one more. Let's call it the Wild Card. Apologies for the bad photo, but this was the best photo I took on the day. 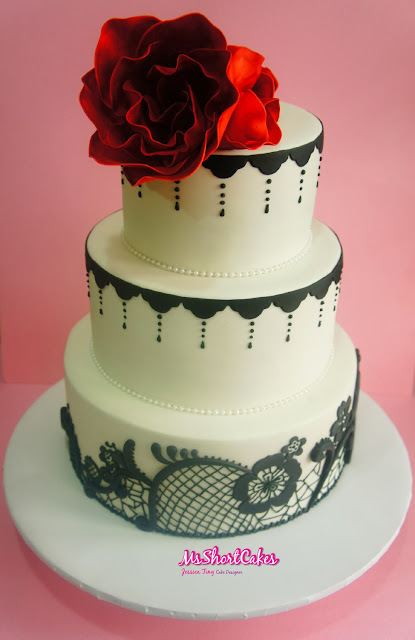 I absolutely adore this cake for it's elegance and quirkiness, if I may. Every box featured a different texture and technique and I played with different shades of gold. It took almost an entire month of planning, alongside a similar wedding cake, but in squares instead. 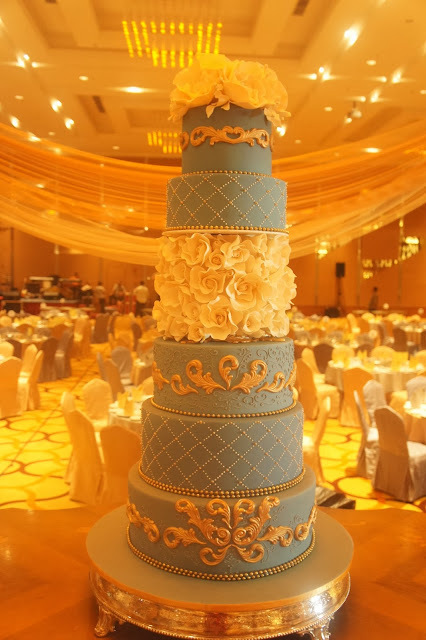 I still get people talking about this wedding cake, almost 11 months after I had made it! 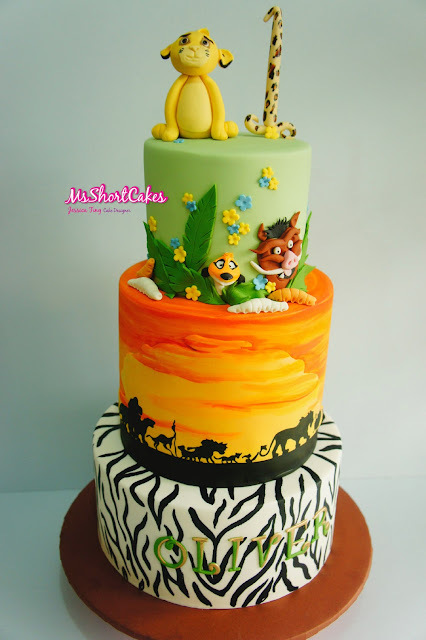 If I could do this cake all over again....I definitely would! LOVE. 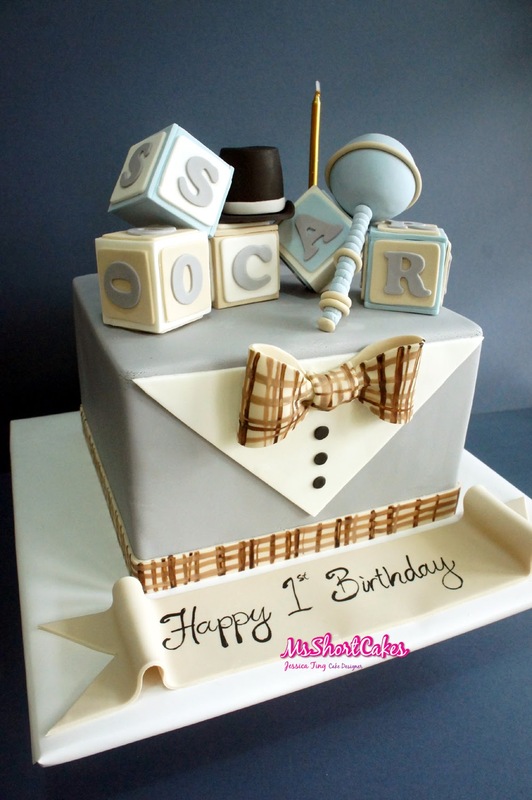 Here's to more cakey adventures and for a bigger and brighter future! Stay tuned!